"His is the music of America. He sang the songs of the people he loved, of a young nation growing strong. His was an America of glistening rails, thundering boxcars, and rain-swept night, of lonesome prairies, great mountains and a high blue sky. He sang of the bayous and the cornfields, the wheated plains, of the little towns, the cities, and of the winding rivers of America." The Father of Country Music. That's a heavy load for a scrawny, tubercular ex-railroader who set out only to prove to the folks back home in Meridian, Mississippi, that he wasn't the shiftless no-count they all thought he was. When Jimmie Rodgers arrived on the scene, there was no such thing as 'country music.' It was just beginning to be called 'hillbilly' - and whatever it was, Jimmie Rodgers wasn't much interested. He dressed in the latest uptown-style box-back coat, bow tie, and snappy straw boater and cultivated a broad repertoire which, at the outset at least, leaned decidedly in the direction of current hits from Tin Pan Alley: Who's Sorry Now?, I'll See You In My Dreams, How Come You Do Me Like You Do?, and similar pop fare of the 1920's. From the beginning, however, Jimmie Rodgers was nothing if not versatile. Over the years, scuffling from town to town as an itinerant brakeman and would-be entertainer, he had absorbed the haunting blues music of his Southern upbringing and the rowdy, colorful ballads of railroaders and rounders all across the land. So, when he met up with a big-time record producer who wanted 'old-timey' folk songs, or original compositions that sounded like them, it was altogether natural that he turned to the simple, plaintive, often whimsical music sung and played among the ordinary people he'd known from childhood. "They want these old-fashioned things," he told his wife. "Love songs and plantation melodies and the old river ballads. Well, I'm ready with 'em. And I've got some new ideas for songs too, in the back of my head - when I get 'em worked out." The new songs he called 'blue yodels.' They combined the raw energy of jazz and the poetry of the blues with that particularly rustic, home-spun vocal embellishment known as the yodel. Add a driving, eloquent guitar and Rodger's personal magnetism - the cocky little boy grin and the winsome drawl, along with a heady sense of someone who'd done hard-traveling and lived to tell about it - and you have the beginnings of country music, even if it didn't get it's proper name for another twenty years. James Charles Rodgers is born on September 8 in Meridian, Mississippi. Jimmie's mother, Eliza Rodgers dies, leaving Jimmie's upbringing in the hands of his often-absent, railroad-working father and various relatives. Jimmie wins first prize in an amateur talent contest at Meridian's Elite Theater. Jimmie manages to convince a medicine show in town to let him perform and leaves town with the show. In December, Jimmie's career as a railroad man begins. He works for various lines off and on until his precarious health forces him to quit railroad work in 1925. 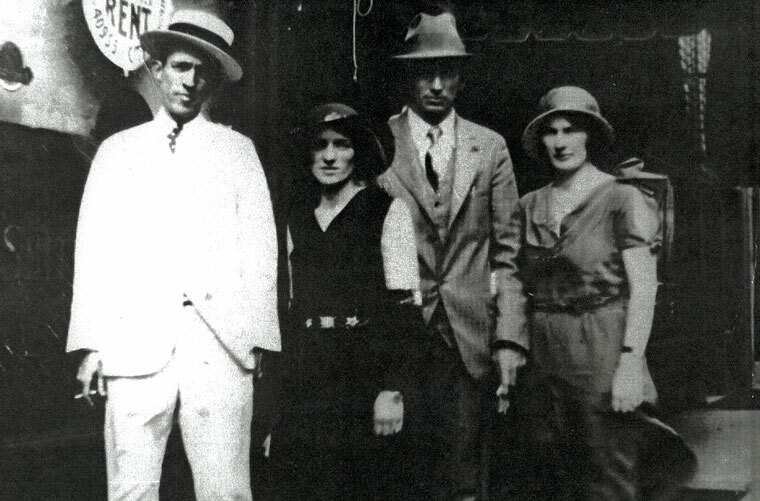 On May 1, after a brief courtship, Jimmie Rodgers marries Stella Kelley. That autumn, Jimmie and Stella separate. Two years later Jimmie will file for and be granted a divorce on the basis of Stella's desertion. Unbeknownst to Jimmie, Stella gives birth to a daughter, Kathryn, on May 1. On April 7, Jimmie marries Carrie Williamson. On January 30, Carrie gives birth to a daughter, Carrie Anita. This autumn Jimmie Rodgers makes his first professional appearance with Billy Terrell's Comedians in Hattiesburg, MS. Jimmie will leave the show after 8 weeks to return home to his wife upon news of the death of his baby daughter, June Rebecca. In September, Jimmie is officially diagnosed with tuberculosis. Jimmie Rodgers ends his on-again, off-again association with the NO & NE railroad and goes west in search of whatever work he can find. Jimmie moves Carrie and baby Anita to Asheville, NC where he works as a part-time cab driver and errand boy for the police department. On February 21, Asheville's first radio station WWNC goes on the air. Its initial broadcast is heard as faraway as London, Ontario and Waco, Texas. On April 18, Jimmie Rodgers offers a radio program on WWNC. In August, Ralph Peer of the Victor Talking Machine Company records Jimmie Rodgers in Bristol, TN. Also at that session, another new "hillbilly" act, The Carter Family, makes its first records. On October 7, Jimmie's first record "Sleep, Baby, Sleep" is released to music stores. On November 30, Jimmie records "Blue Yodel" ("T for Texas") in Camden, New Jersey. In February, Peer records Rodgers at the Victor Studio in Camden, New Jersey. In June, Rodgers returns to Camden for another session. On August 4, Jimmie makes his first big-time personal appearance at the Earle Theater in Washington, D.C. That fall he tours with Loew's "Southern Time" Circuit from Norfolk, VA to Houston, TX. On October 22, Jimmie records "Waiting for a Train" in Atlanta, Georgia. By the end of this year, Jimmie Rodgers will broadcast his own weekly radio show from Washington, DC; headline a major vaudeville tour through the South; and earn $2,000 per month in royalties. Jimmie tours with Paul English Players this winter but his health steadily deteriorates and Jimmie leaves the tour to record more sides in New York. Later that year, Jimmie decides to settle down with his wife and daughter in Kerrville, TX and begins building a large home, "Blues Yodeler's Paradise" which will end up costing $25,000. In August, Jimmie records in Dallas, TX and in November he goes to New Orleans, LA and back to Atlanta to record. This winter "The Singing Brakeman," Jimmie's talking short, which was filmed the previous December, is in national distribution. In July, in Hollywood, CA, Jimmie records "Blue Yodel No. 9" ("Standin' on the Corner") with accompaniment by Louis Armstrong on trumpet and Armstrong's wife, Lilian, on piano. Also that summer while touring with Swain's Follies, Jimmie is reunited with his first wife Stella and is informed of the existence of his daughter, Kathryn. In February Jimmie is named in a paternity suit which will not be resolved until June 1932 when the court orders Jimmie to pay Kathryn $50 a month until she reaches the age of 18 for a total sum of $2,650. On a more positive note, Jimmie is sworn in as an honorary Texas Ranger and tours with Will Rogers Red Cross Benefit Tour through Texas and Oklahoma. Also that winter Jimmie records in San Antonio, TX. In June he goes to Louisville, KY to record with the Carter Family and in the fall travels to Camden to record. Jimmie is in Dallas, TX in February and Camden, NJ in August to record. His health continues to deteriorate. 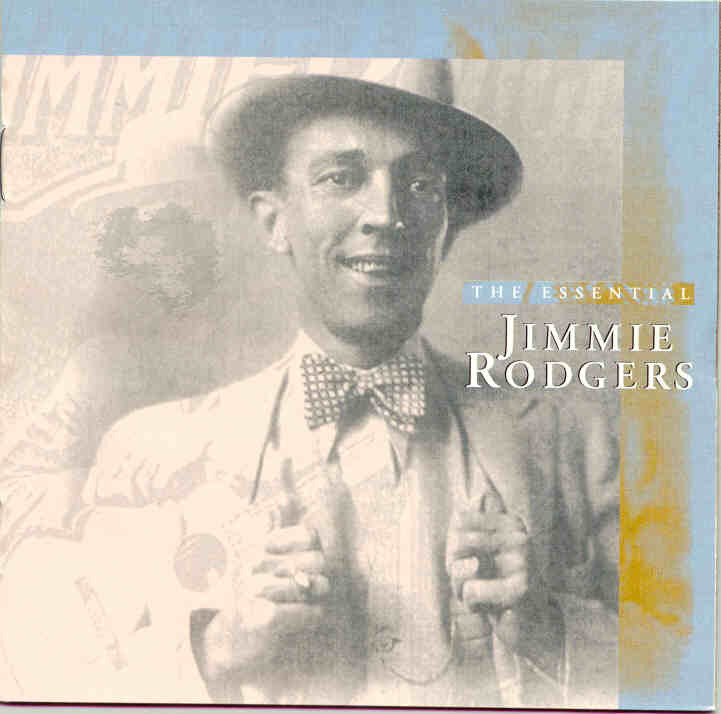 On May 18 Jimmie records "Jimmie Rodgers' Last Blue Yodel" in New York City. On May 24 he records his last side "Years Ago" and on May 26, Jimmie Rodgers dies. A special baggage car is added to the Southern Railroad's Washington-New Orleans run to take Jimmie's body back to Meridian, MS for his funeral on May 29.